HIV and AIDS is something we’re all aware of and have heard about, but until we were immersed in the reality of Zimbabwe, we could not truly appreciate the impact it has on the individuals affected, their livelihoods, families and communities. However, within a situation which can sometimes seem hopeless and desperate, we have been truly inspired by the work of the Mashambanzou Care Trust. Mashambanzou is a CAFOD partner which ultimately aims to see HIV-free communities through empowerment, care and support. They work mainly in poor, overcrowded areas of Harare, the capital of Zimbabwe. Over the past week we have witnessed many incredible projects, such as a children’s day care centre, child protection clubs in schools, and home visits to people living with HIV. Hopley was our first stop off, an overcrowded area, where I was quick to realise some of the differences between urban and rural poverty. I was introduced to a young person named Andrew – little did I know that his story was about to change my life. At the age of twelve he lost both parents because of AIDS, and was forced to leave education and take on the responsibility of his two younger brothers. He had no other choice but to build a house from scratch, with scrap material. With help from Mashambanzou and CAFOD-funded project ‘putting children first’, children like Andrew are being empowered to know their rights. 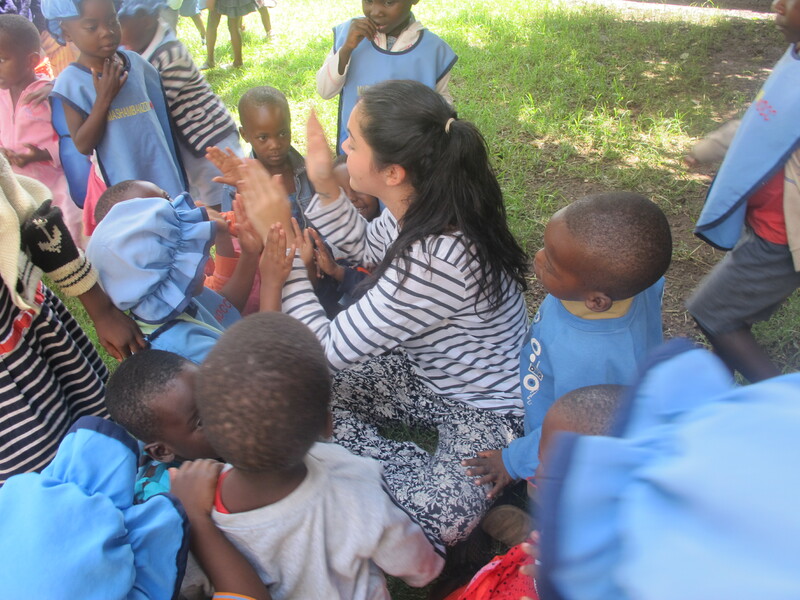 The project involves working with local schools, setting up child protection clubs and assessing/meeting the needs of orphaned and vulnerable children, for example paying school fees to ensure children are able to go to school. Through this project, Andrew and his brothers are back in education and continue to be supported by Mashambanzou in other ways. Listening to Andrew speak, seeing the smile he has despite the pain he has been through, and witnessing the love he has for his brothers, reminded me that Christ is in everyone we meet. Sometimes it takes extraordinary cases to remember this. A harsh and cruel reality swooped over me this past week. There are people who say you have to witness certain things to just begin to understand what some people go through, a statement that has stayed with me especially in the past few days. 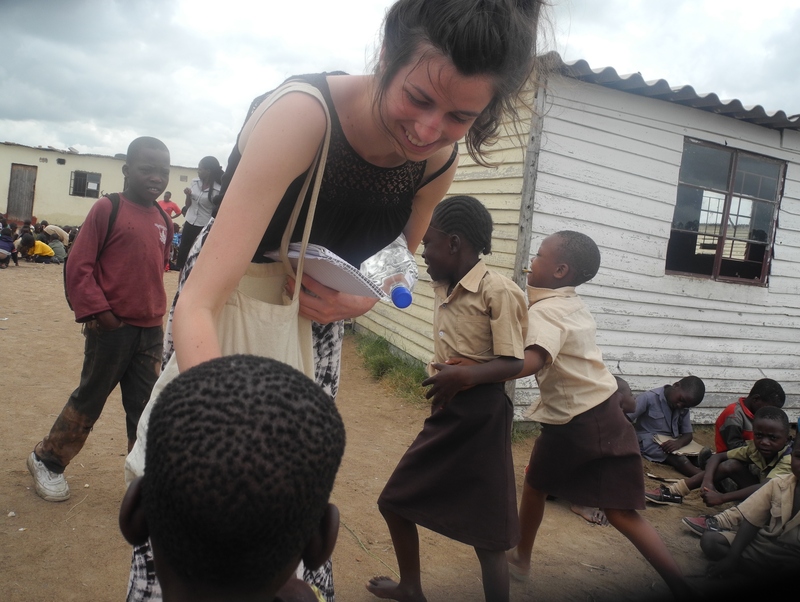 The projects I have seen have opened my eyes to a world I thought I understood – HIV and AIDS is a hugely challenging issue here in Zimbabwe and a word that is still said in hushed voices. The level of stigma and discrimination surrounding HIV and AIDS is part of the root cause. Denial and fear of what others may think prevents people from coming forward for testing or from receiving the correct medication to keep them well. Despite the challenges there is hope, and hope is a word which is strong within the people of Zimbabwe. Witnessing the work of Mashambanzou has given me a warm sense of strength, unity and love in the daily lives of those who work and volunteer for this incredible organisation. And what makes me able to walk away with hope, is the fact that they will never give up, and even if others do, they will still be here fighting for a community free of HIV and AIDS, a community that can strive and a community which will succeed. 18-30? Do you want to Step into the Gap? Accompanying a nurse and social worker from the Mashambanzou Care Trust on home visits this week has been an absolute eye opener and left me, in many instances, speechless. Mashambanzou assesses where the need is greatest and makes home visits to those living with or impacted by HIV and AIDS and experiencing the limiting challenges of poverty, stigma and discrimination. Meeting two patients only a couple of years older than myself was extremely moving and something I don’t think I will ever forget. 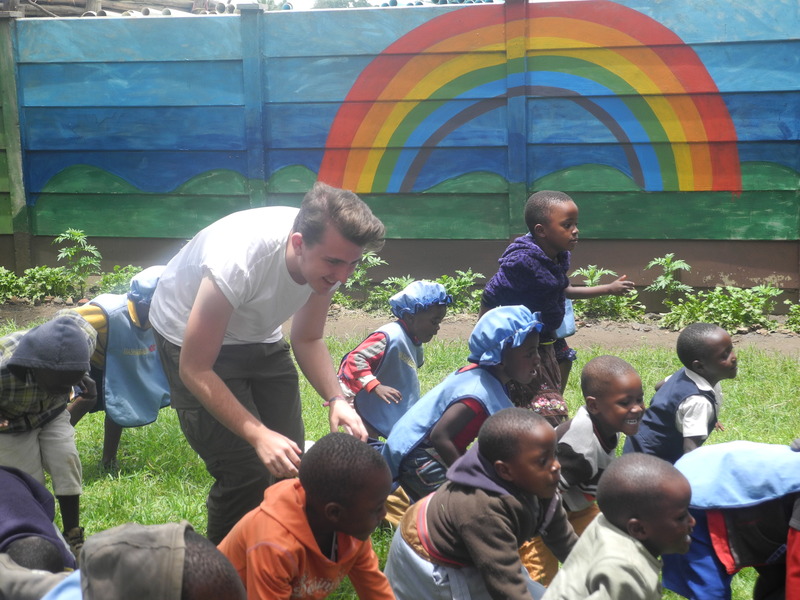 Practical subjects taught at Terriro School include carpentry, sewing and tailoring. The positive energy radiating from within the communities we visited left me refreshed. I feel extremely humbled by the opportunities this week has brought and am inspired to inspire others to act for change. The people we have had the privilege of meeting this week have made it an experience we have learned so much from and will never forget. 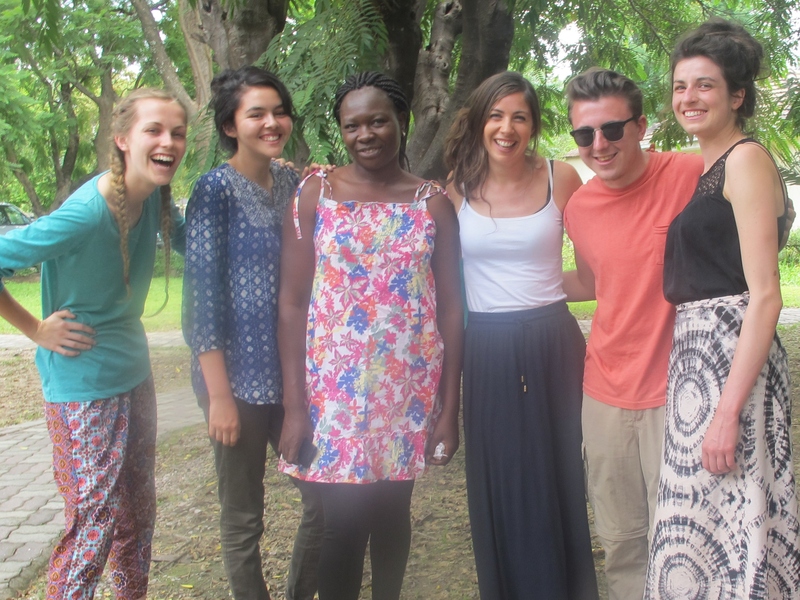 Both the staff of Mashambanzou, with their whole-hearted commitment, vision and passion for change, and the people they support, have been so welcoming and inspiring. One visit was to a lady living in a dark, damp and unclean room, a sheet pegged up on string to divide the area that she shares with her two young daughters from the area that she rents to a lodger to provide her income. Sadly this was one room of many similar rooms in the area. Mashambanzou supports this woman to send her children to school, and have helped her to start a small tuckshop business outside the building. They also provide the medication she needs to stay healthy. Walking in and around this area, it’s impossible not to notice the number of young children sitting outside – amidst litter and waste – to avoid the cramped conditions of their home. Education provides hope within a situation that seems hopeless – for Mashambanzou, educating and empowering children, is crucial to break the cycle of poverty, so that children learn to value their potential and are able to build a better life for themselves. As well as supporting school fees for many children in the area, Mashambanzou runs a day care centre for sixty 4-6 year olds, before they start school. 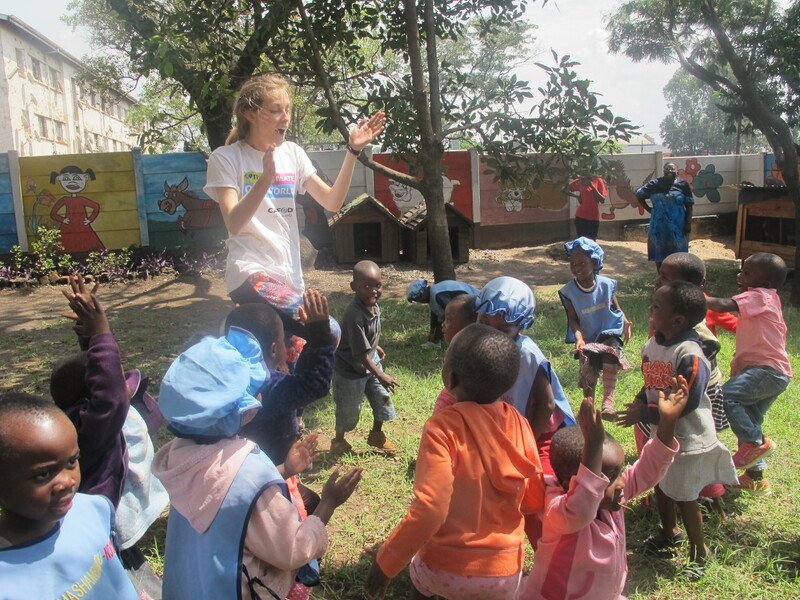 Visiting this centre was amazing, we had so much fun playing games and singing songs with the children. It was so good to see the children have the opportunity to just be children in an environment that was safe, loving and caring despite the hazards and risks that we knew surrounded them just beyond the walls of the centre. Mashambanzou’s work really is a glimmer of light and hope. What an amazing set of experiences and you are coping so well with this! Thanks for the wonderful descriptions. Stay well!